By raiding the headquarters of Morgan Communities, the FBI confirmed Monday that there's a cloud around developer Robert C. Morgan's companies. "It's a very debilitating thing," said Dennis C. Penman, who spent a career developing properties, mostly for M.J. Peterson and Ciminelli Real Estate, and knows Morgan casually. The existence of the FBI investigation shouldn't affect the thousands of tenants in Morgan properties around Buffalo, and tens of thousands of tenants in other states, Penman said. But it could affect Morgan's ability to proceed with other projects and purchases on the drawing board. "One would assume that lenders would be cautious at this point," Penman said. "It would concern me deeply." FBI agents early Monday swept into the Morgan Communities headquarters, an office park at 1080 Pittsford Victor Road in suburban Rochester. The agents over the coming hours carted off boxes of items, Rochester news outlets reported. Through local spokeswoman Maureen P. Dempsey, the FBI said it was conducting "court-authorized activity at that location." Reached by email, Morgan would not discuss the matter. And a Rochester-area lawyer representing him in the criminal investigation did not return a telephone message left by The Buffalo News. But Morgan has previously said there's nothing unusual or illegal about the way his companies obtain their mortgages. The News reported in October that an investigation is underway into the way Morgan's companies have financed some their purchases. Morgan's companies own some 36,000 units spread across 14 states, mostly east of the Mississippi. Morgan, who started out in Rochester, is a significant player in Western New York, too. His companies have come to own or manage 3,500 Buffalo-area apartments, and in October he spoke of plans to develop 1,000 more. Morgan built his vast portfolio by, among other things, buying existing apartment complexes, fixing them up and then raising the rents. But in some purchases examined by The News, Morgan's limited liability companies appeared in public records to borrow more than the purchases price. Lenders typically insist buyers use their own money for 20 percent of a purchase, and the loan covers the remaining 80 percent, to ensure that borrowers have a stake in the property and the risk. A number of local developers and landlords say they admire Morgan's drive and the way he built his empire after being shot during an armed robbery and left paralyzed at the age of 33 in 1991. Still, those same observers told The News they worry about the debt he has taken on and the amounts he borrows. "It makes me very, very, very incredulous as to how these things get done," Joseph Janowski, a long-standing local broker in the financing of real estate, especially commercial real estate and multifamily housing, told The News last year. "I don't know how you pull it off." Morgan has previously told The News: "I borrow money the same way everyone else does in the U.S. There's no hidden secrets. There's no story to tell." Morgan explained then that sometimes his companies borrow enough to both buy and renovate the units. These "value-added loans," as the industry calls them, explain why a company might appear to borrow more than an apartment complex's stated price, Morgan explained last year. But he also told The News his companies sometimes make special arrangements with sellers to "avoid showing full price" on publicly available real estate documents. By doing so, tax assessors don't see the full value and and the property tax bills "don't go through the roof," Morgan told The News. His explanation raised concerns among others in the real estate industry. For example, Mindy H. Stern, a former chairwoman of the State Bar Association's Real Property Law section, previously told The News that any special arrangements done only for the purposes of paying less in taxes "is something that the tax authorities would question." And Joseph H. Emminger, a property appraiser who also is supervisor in the Town of Tonawanda, where Morgan's companies own apartments, called the methods Morgan described "not regular practice." Morgan has a number of partners in Buffalo and around the country. The Buffalo-area partners also did not return telephone messages left Monday by The News. Matthew Cherry of Glendale Development, Anthony Cutaia of Rane Property Management and Brett Fitzpatrick of Somerset Companies have worked with Morgan on projects in the Buffalo, Rochester and Syracuse markets. And he is currently partnering with TM Montante Development on the multi-year, $150 million redevelopment of the former Millard Fillmore Gates Circle Hospital site into a new mixed-use community, including some 500 residential units. 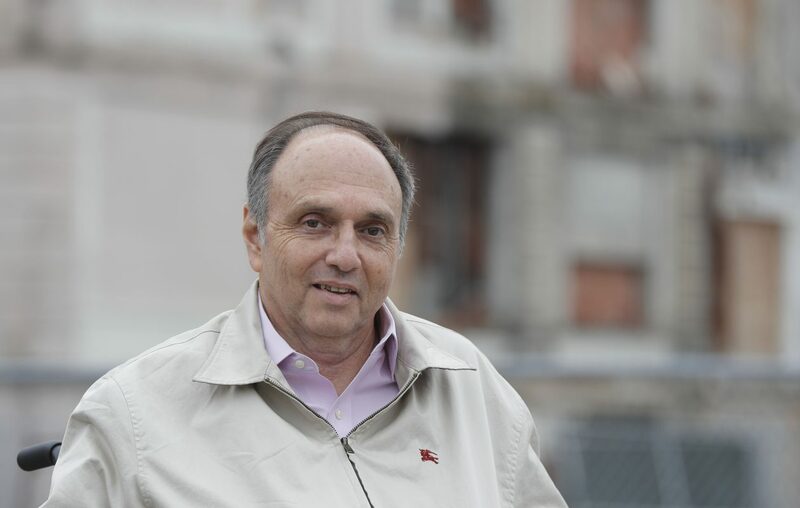 He is also a development partner in Rochester projects with Thomas Masaschi of DHD Ventures, which owns the Monarch 716 student-housing complex on Forest Avenue near Buffalo State College. Two sources told The News that FBI agents were examining, among other things, the purchase of a Syracuse apartment complex known as Rugby Square. Morgan and Buffalo's Fitzpatrick formed a limited liability company that borrowed $5.56 million to buy the apartment complex in a distress sale in 2012. Ten months later, however, the LLC told a new lender that Rugby Square had, in less than a year, experienced a turnaround, and it qualified for a new $9 million loan. The company's documents, provided to the data-collection service Trepp, indicate Rugby Square's appraised value had nearly tripled, from $4.75 million in early 2012 to $13 million by year's end. Industry sources contacted by The News were unable to remember any multifamily project that had tripled in value in such a short time. “It’s not something that never happens. Normally, it takes longer,” Manus Clancy, the senior managing director of Trepp, has previously told The News. There has been no suggestion Morgan's companies might default or that lenders are out some money. But two sources with knowledge of the federal investigation say the agents are checking into the data that was presented to obtain loans. Other sources have told The News that the federal agency which oversees Fannie Mae and Freddie Mac also is involved in the probe, because many of the mortgages Morgan's companies obtained were resold to investors on the open market. Commercial mortgage investors and ratings firms have been monitoring Morgan's exposure since The News reported the FBI investigation last fall. Kroll Bond Rating Agency issued a KBRA Credit Profile bulletin to its subscribers, citing 142 loans sponsored by Morgan's companies or backed by properties he owns that could be at risk depending on the outcome of the probe. The agency tallied total debt of $1.6 billion for Morgan's companies, held in commercial mortgage-backed securities issued through Wall Street firms and Freddie Mac, and purchased by investors. The KBRA report found all 142 loans that it identified as sponsored by Morgan or backed by his properties are current on payments. The credit ratings firm, which provides recommendations and information to bondholders and loan buyers, was established in 2010 after the residential mortgage crisis exposed weaknesses in how such investments were evaluated. The Kroll report said the real estate collateral behind the loans is mostly multifamily apartment buildings and self-storage properties. They range in size from $1.3 million on a Rochester apartment property to $47.6 million on two apartment complexes in suburban Pittsburgh and Chicago. A separate report last fall by Trepp cited 150 Morgan-affiliated loans on 204 properties, with 21,530 units in all. They were sold to investors on Wall Street in 81 deals, and totaled $1.677 billion in debt. Most of the loans are interest-only in payments for their 10-year terms, followed by a balloon payment at the end when such loans are typically refinanced or the properties are sold. About 40 percent, or $874.6 million, are securitized through Freddie Mac. The reports, whose figures differ based on which transactions they include in their calculations, break out details of each loan and property. None of the loans are currently in default, but Trepp said that five of the loans were already on its "Watchlist." "If the investigation results in negative findings against the borrower, it could result in future special servicer transfers," Trepp reported at the time, referring to a loan servicer that specializes in troubled debt that is in default or foreclosure.